Now, this is a great shooter. 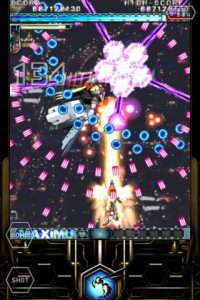 Pure bullet hell joy from start to finish, DoDonPachi Resurrection HD will rip up and spit your iPhone out for fun, and you will love every minute of it. 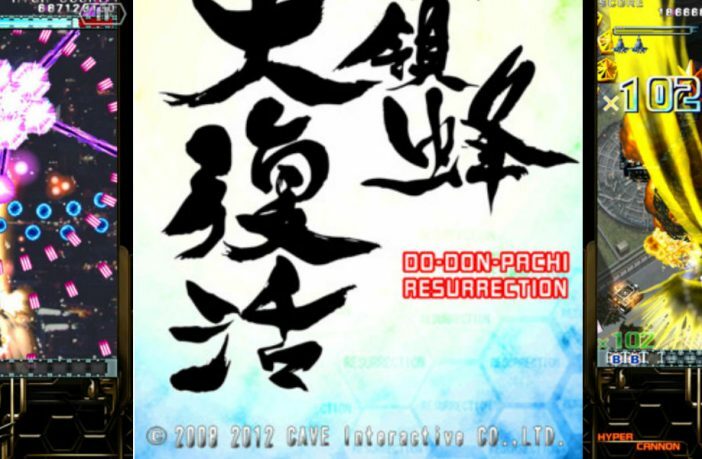 Cave originally released DoDonPachi Resurrection for iPhone in a non-Retina flavour a little while ago, and it quickly went on to establish itself as one of the best vertically scrolling shoot ’em ups on iOS. There was always something missing, however. 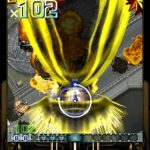 For a start, the frame rate was never the best, even on an iPhone 4, and the graphics, while still spectacular, were crying out for some Retina-style love. This new version fixes those problems, as it runs as smooth as pie on an iPhone 4S and iPad 2, and the sharper graphics finally do the game justice. If you are playing on an iPhone 4, however, this HD version actually performs a little bit worse than the original, and although it does benefit from the extra sharpness, and the performance never really hinders the game, you will notice it. The game was originally found in the arcade, and you actually get that version as a selectable mode here. 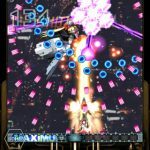 It still amazes me that technology has progressed so far that entire, graphical heavy games can be played on a smartphone, and bullet hell shooters really do ram that point home. In addition to the arcade mode, Cave have created a special SM mode for smartphones, which brings a really interesting play mechanic to the mix, making the game slightly easier, but also adding a welcome extra layer of gameplay possibilities. The SM mode also has a special secret end boss, and a brand new, reworked soundtrack. There is also another secret, BGM music track that you can find, but it is more of an Easter Egg than anything else. The graphics are splendid, with an insane amount on screen at once, especially if you play on the higher difficulty settings, where the screen can literally be nearly completely full of bullets and enemies. A hint if you are finding it all to much is to only concentrate on the bullets heading your way; all the others are just a distraction. It is lucky, with so much happening, and with the need to squeeze in the smallest of spaces, that Cave has done such a fantastic job with the controls. You drag your ship around the screen, which is a method that many other developers have tried, and failed at, in the past, but here Cave have really, properly nailed it. The ship responds instantly to your input, and you will soon forget that you are not playing with a joystick and real buttons, which is a sure sign of quality iPhone controls. 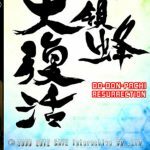 If you are a fan of bullet hell shooters, then DoDonPachi Resurrection HD is pretty much an essential buy, as it is a barnstorming roller coaster ride that has a brilliant scoring system, and plenty of ship load-out options that alter the gameplay. With Openfient and Game Center integration, this will last you a long time. The only negative would be if you are playing on an iPhone 4, where the performance isn’t great, and for the price, I would go with the non-HD, cheaper version. 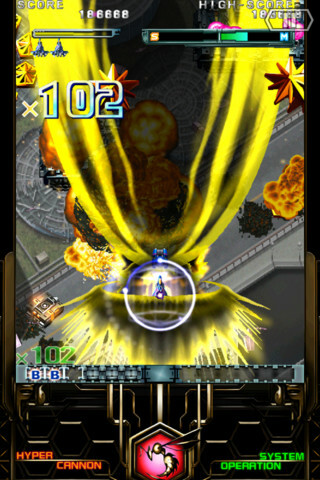 If you have an iPhone 4S or an iPad 2, then tis come highly recommended as a game that really pushes your device and provides a rip roaring ride that you won’t soon forget. Check out our reviews of Coco Loco, Final Fantasy Tactics and Lightopus! Sounds fantastic! 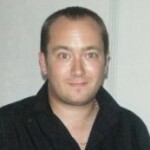 Sad about the iPhone 4 though, which is what I have of course.